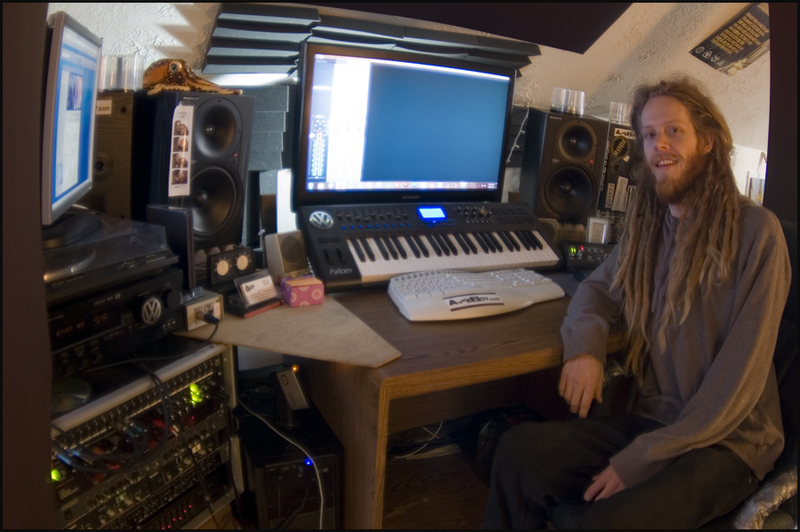 Hey, I'm Justin Lewis, I'm a freelance audio engineer and Attic Boy is my home studio. Since 2011 I've been doing all kinds of creative stuff here; recording, mixing, mastering, live sound, photography, cover art and design, webdesign, CD printing, and more, all at affordable rates. Because of it's size, Attic Boy is best suited for small hip-hop and singer-songwriter projects, however I am capable of mixing/mastering and providing artwork for a wide variety of other projects and can engineer from any studio in town for tracking larger acts. Also don't forget about the work I do outside of the studio; see below for more info on live sound. So no matter what you're next project is, I can help! Contact me if you want some quality work done for a good price! I have worked with artists such as Donny York of the ShaNaNa's, a widely popular group of the 70's, and Elemint whose latest album 'Brain Food' moved over 150,00 digital copies. I've also worked closely with the late Richmond legend Joe Threat, and helped countless other Richmond artists produce albums that couldn't have been done anywhere else! I am currently front-of-house engineer for The Shack Band, The Trongone Band, Bio Ritmo, and Nobody's Poet, as well as a house engineer for The Broadberry, The Camel, and Hardywood Brewery. I can run just about any analogue or digital console so call me to get your band sounding great live!